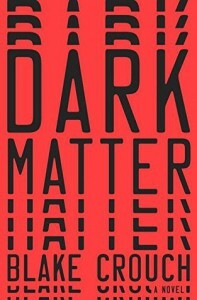 DARK MATTER by BLAKE CROUCH - Carolyn Cannot Live Without Books! I liked this book a lot up until there were over 100 SPOILER!! [Jason's], then it got a lot ridiculous. So 4 stars for 80% of the book.